The Commodity Futures Trading Commission today approved a final rule requiring swap dealers and major swap participants to exchange initial margin and variation margin with counterparties to swaps not cleared through a central counterparty. The Commodity Futures Trading Commission today approved a final rule requiring swap dealers and major swap participants to exchange initial margin and variation margin with counterparties to swaps not cleared through a central counterparty. The rule is practically identical to the final joint rule issued by the banking agencies plus the Farm Credit Administration and Federal Housing Finance Agency earlier this year and substantially similar to international standards issued in 2013 by the Basel Committee on Banking Supervision and the International Organization of Securities Commissions. The CFTC’s rule applies to swap dealers and major swap participants that are not subject to supervision by a prudential regulator. In line with the recommendations made by ABA and the ABA Securities Association, the CFTC rule exempts most swaps between affiliates from initial margin requirements, although still requiring variation margin for such transactions. In doing so, the CFTC recognized that inter-affiliate swaps do not increase risk to the organization or the broader financial system, but are an important tool that banks use to manage risk on a centralized, group-wide basis. The rule otherwise applies initial margin and variation margin requirements to swaps between non-prudentially regulated swap dealers and major swap participants and between non-prudentially regulated swap dealers, major swap participants and financial end users with a “material swaps exposure” of more than $8 billion in a three-month period of the previous calendar year. The rule does not impose margin requirements on commercial end users or banks with less than $10 billion in assets. The CFTC’s final rule determines what is eligible collateral and establishes a schedule whereby initial margin is phased in from Sept. 1, 2016, to Sept. 1, 2020, while variation margin is phased in from Sept. 1, 2016 to March 1, 2017. 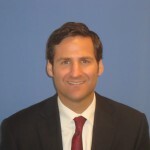 Jason Shafer is vice president and senior counsel in ABA's Center for Securities, Trusts and Investments.